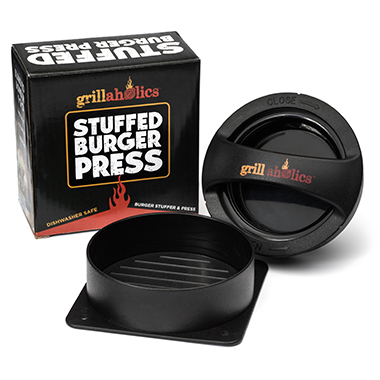 GRILLAHOLIC PRIME DAY SALES HAVE ENDED. 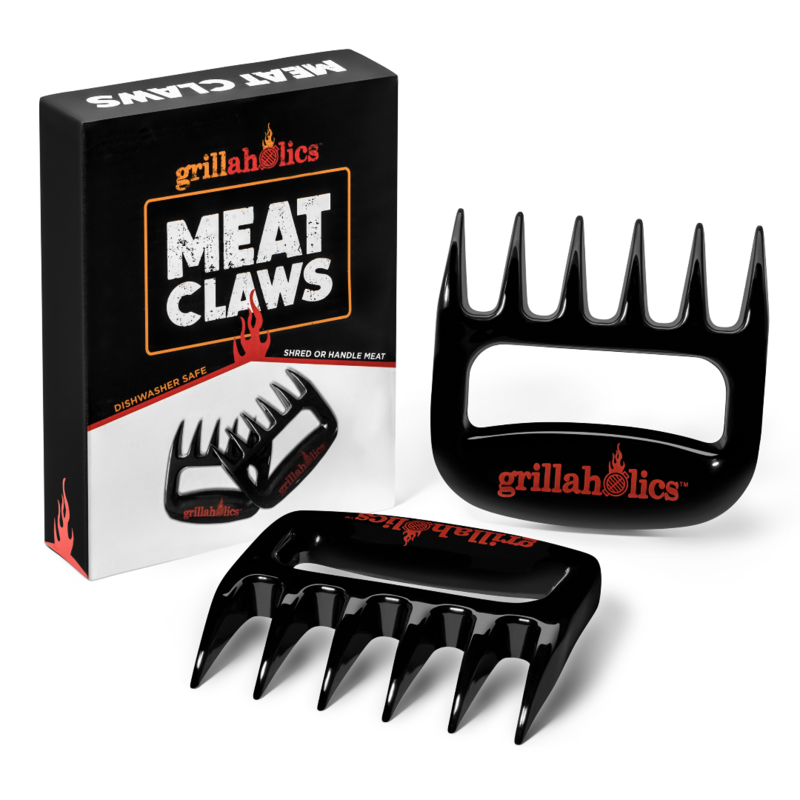 Click the button to checkout daily deals from Grillaholics on Amazon. Deal ends when the timer hits zero or we run out of inventory! This lightning deal has ended. 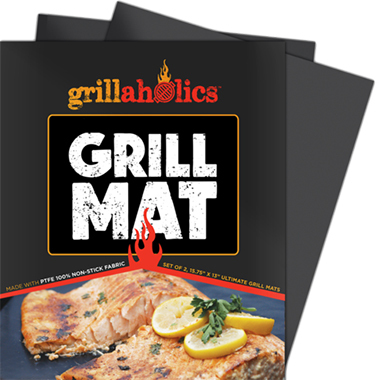 Click the button to checkout Grillaholics daily deals on Amazon. 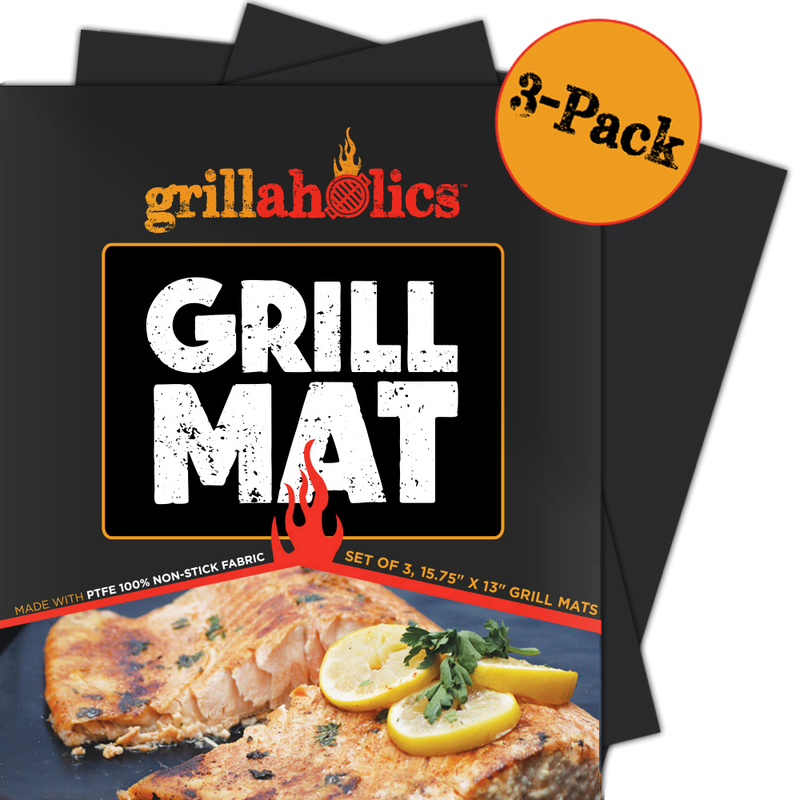 Get 3 of our original flag ship grill mats. Special Prime Day Coupon now through Tuesday. 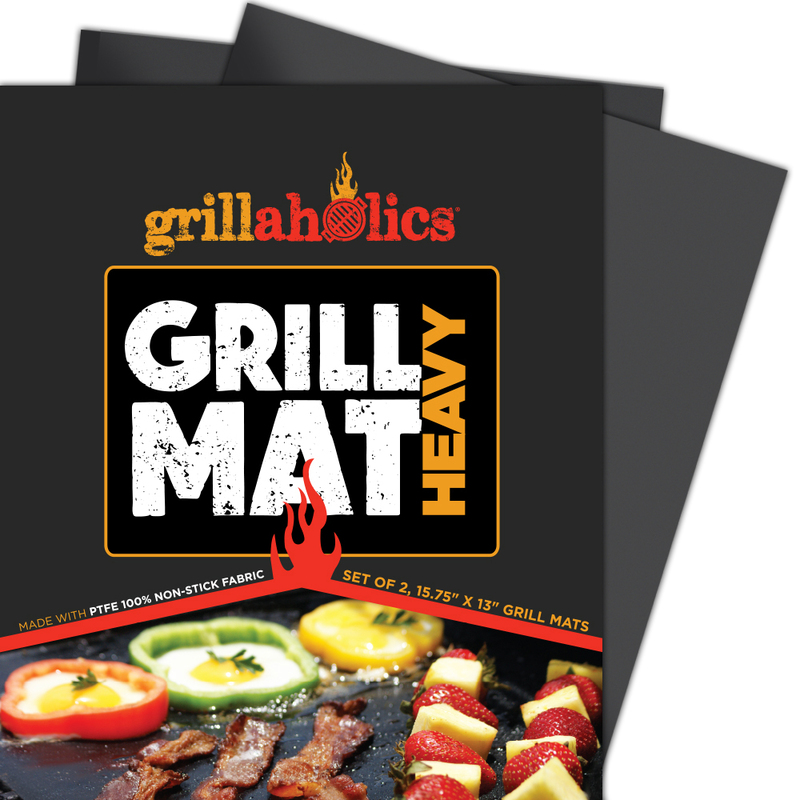 Our newest heavy duty mats built to take heat up to 600°F. Special Prime Day Coupon now through Tuesday. 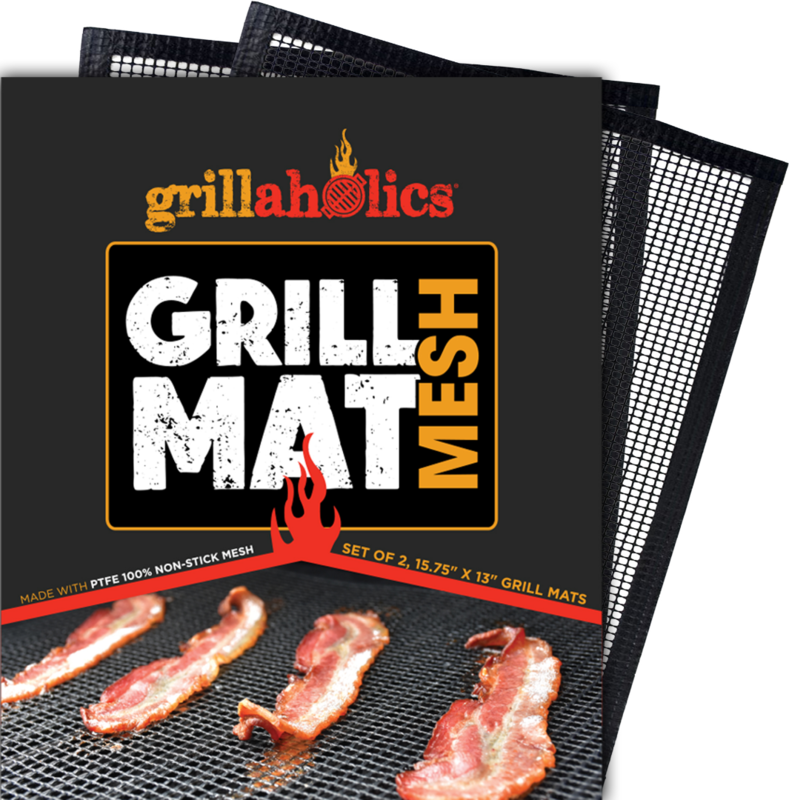 Designed for people that don't want grease pooling on their grill mats. Special Prime Day Coupon now through Tuesday. 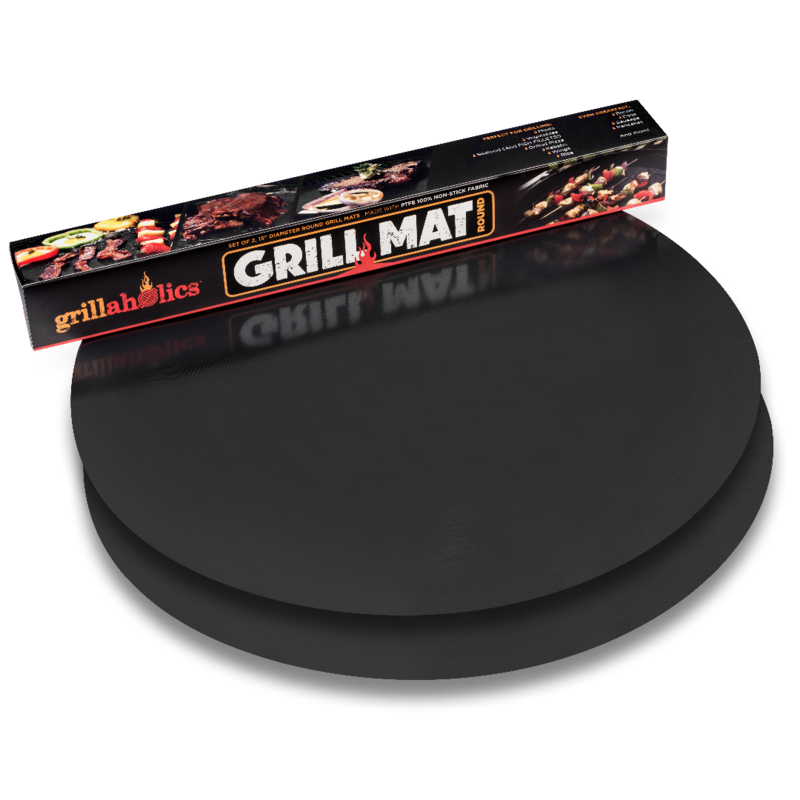 Round grill mats created for the charcoal griller. Special Prime Day Coupon now through Tuesday. 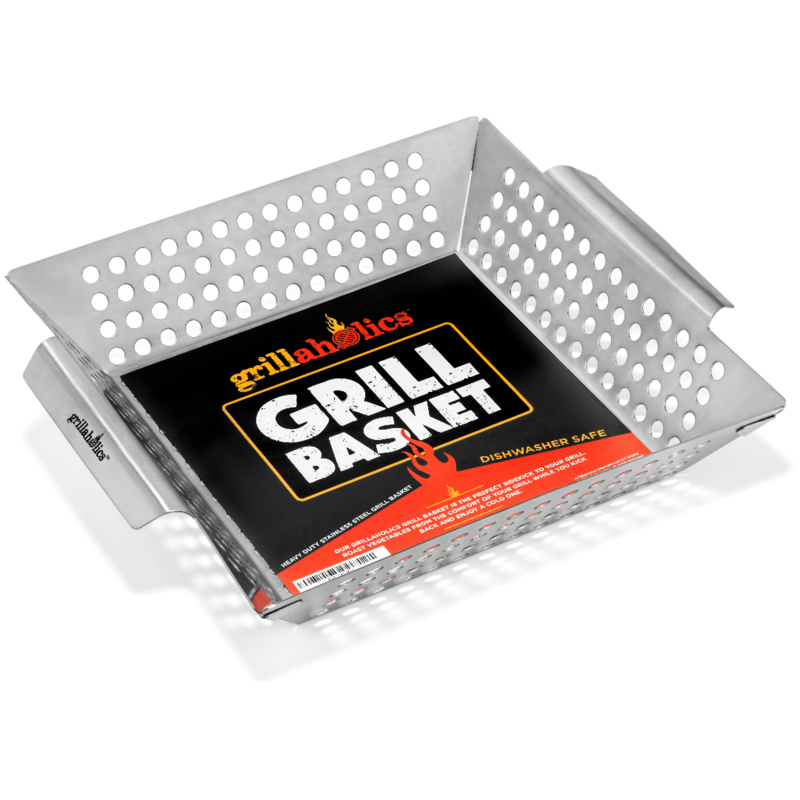 Our premium heavy duty grill basket as featured on Rachael Ray. Special Prime Day Coupon now through Tuesday. 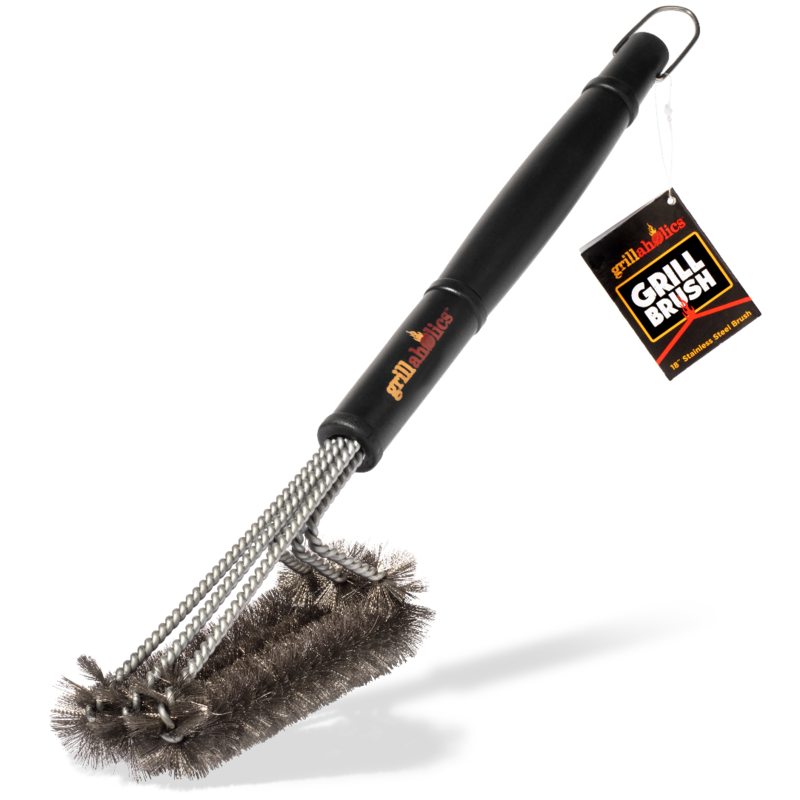 Triple machine tested to be the safest bristle grill brush on the market. Special Prime Day Coupon now through Tuesday. 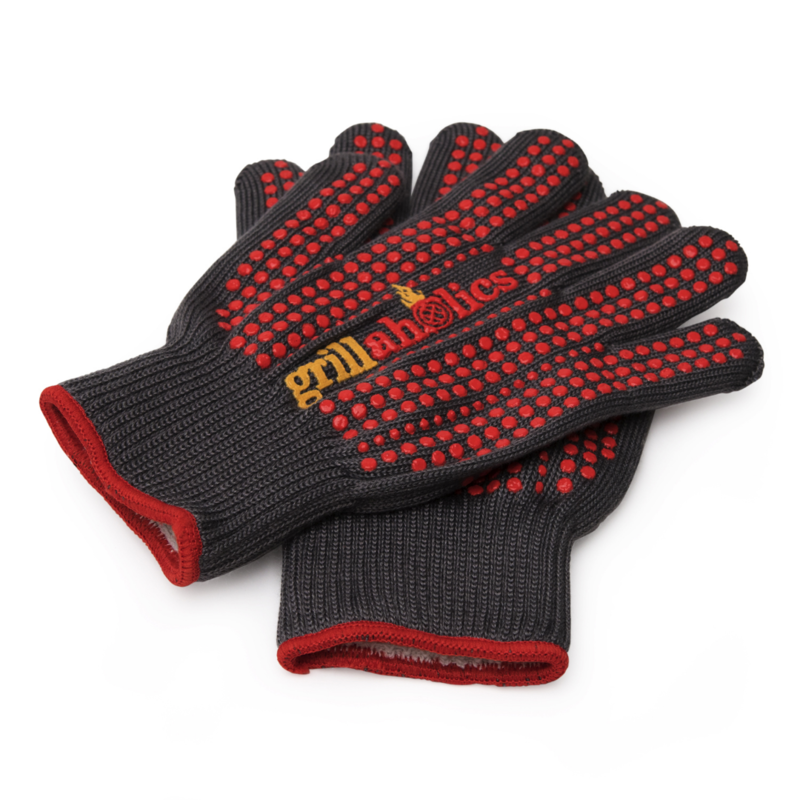 Grillaholics ThermoMatrix Grill Gloves can take the heat! Special Prime Day Coupon now through Tuesday. 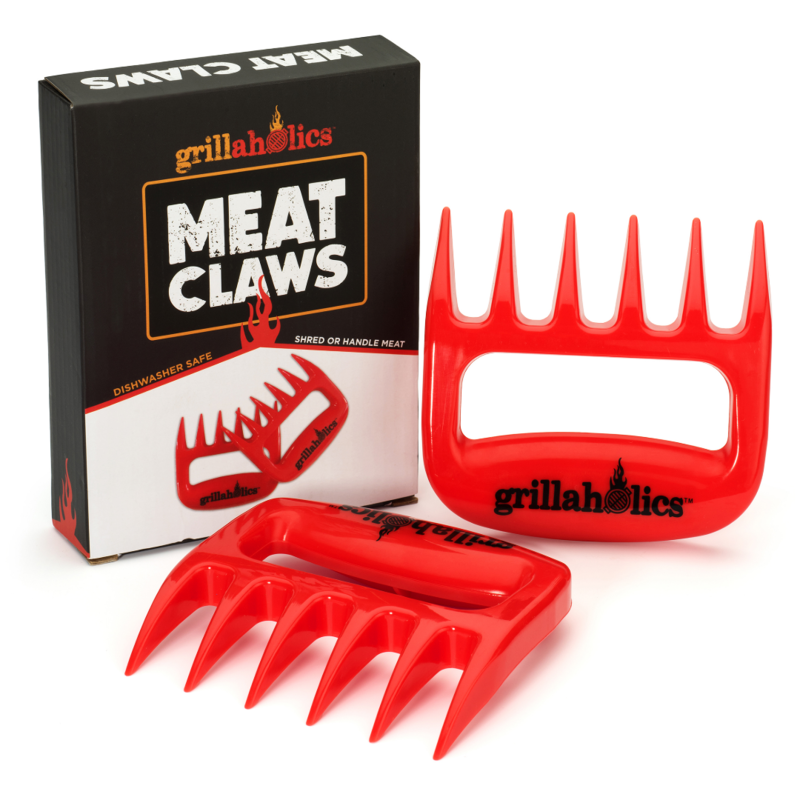 Shred your delicious smoked meats in seconds flat! Special Prime Day Coupon now through Tuesday.